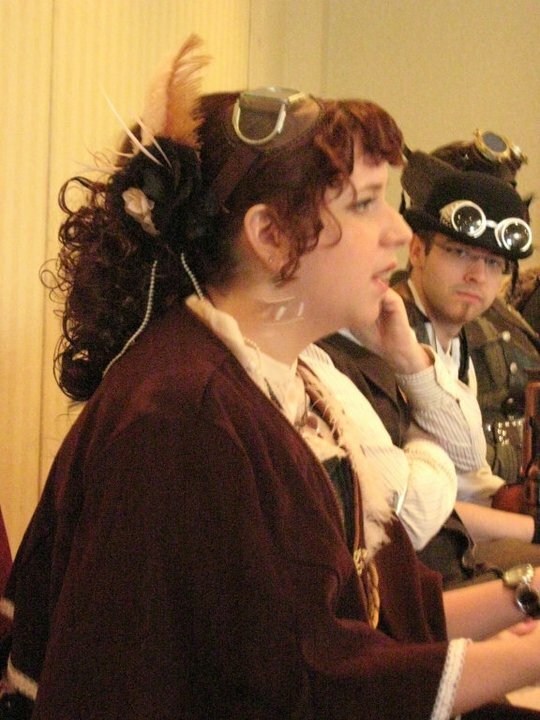 Three years of research, and I’ve never attended a steampunk convention in my homeland. That is partially due to Canada picking steampunk up like last year’s fashions: we’re often behind the Stateside curve on what’s cool at a subculture level. 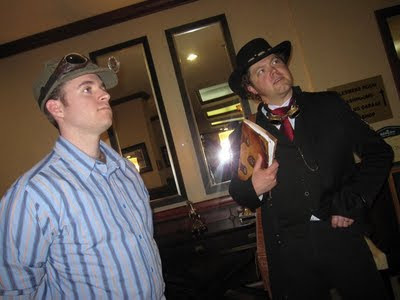 We got Bieber same time as everyone else, but steampunk took a while to filter across the International Boundary. 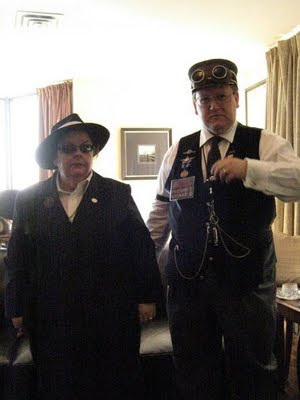 Our first steampunk con was arguably the Victoria Steam Exposition, a small con with the amazing distinction of being housed in the opulent Fairmont Empress. 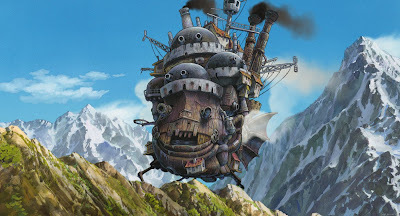 That hotel, along with the rest of the Fairmont hotels and resorts are easily the most steampunk a setting one could ask for in Canada. 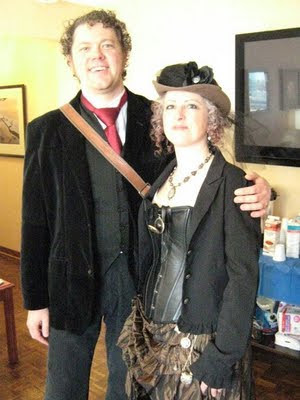 I was unable to attend, having just returned from the Nova Albion Steampunk Exhibition in California. 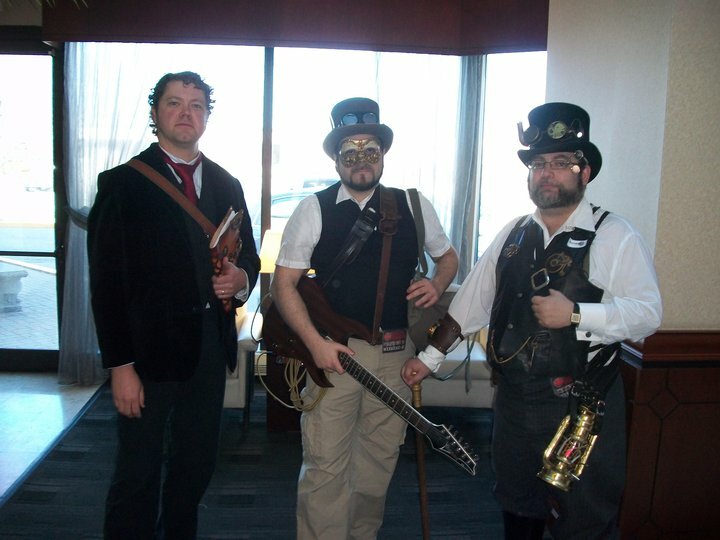 Thankfully, it wasn’t the last steampunk con in the Great White North. 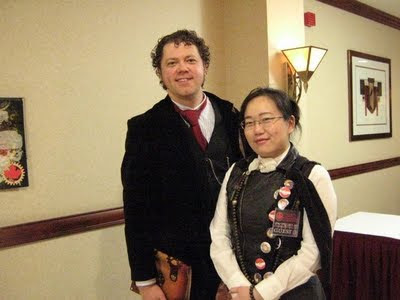 Last fall, I was invited to present at The Canadian National Steampunk Exhibition (CNSE) in Toronto by Canada’s Queen of the Geeks, Liana K. I knew Lee Ann Faruga, aka Countess Lenora of Steampunk Canada (steampunkcanada.ca) was also involved in the planning for the event, and the persistence of both these lovely ladies proved too much. Plus, there was a seat sale on flights with WestJet that decided where my meager travel funds would take me in 2011. Futurecon helped sponsor my journey, and with my tickets booked and bags packed, I was bound for Toronto. Canada is a massive nation, geographically speaking. I’ve lived in Alberta my whole life, but never traveled to Toronto, save to switch flights on my way to Jamaica. So while I knew I wouldn’t see much more than the hotel the CNSE was in, I was excited to add Toronto to the list of places my steampunk research has taken me. I won’t bore you with descriptions of the Great Lakes from my window seat vantage points, or gloat over the exceedingly comfortable town car I took from the airport (save to say that my driver may have been the inspiration for Jason Statham’s character in The Transporter). 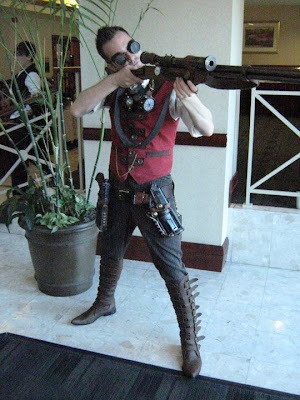 Instead, we’ll fast forward to me stepping out of my twelfth floor room-with-a-view in my steampunk threads to get registered before my first presentation. 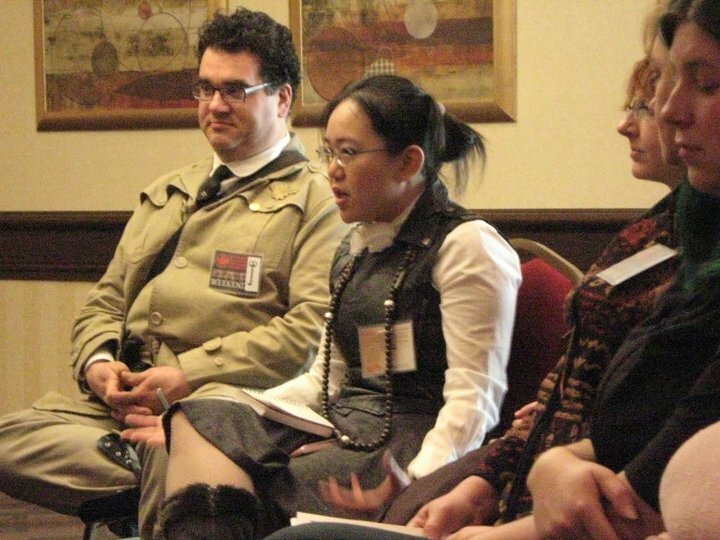 I’m dressed in a Mark Ecko pin-striped brown blazer with an ornate pattern embroidered on the chest and pocket. 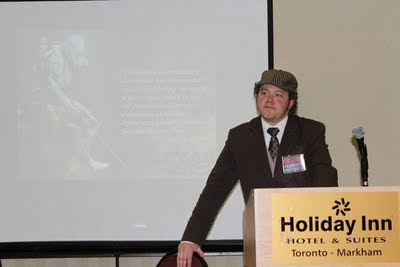 Underneath the jacket is a light brown vest, a checked tie, and white dress shirt I picked up at a Le Chateau outlet store only days earlier (Le Chateau outlet is one of the best ways to put together steampunk fashion on a budget in Canada). I have eschewed long pants for clam-diggers (standing in for the plus fours/Tintin pants I can’t find anywhere! 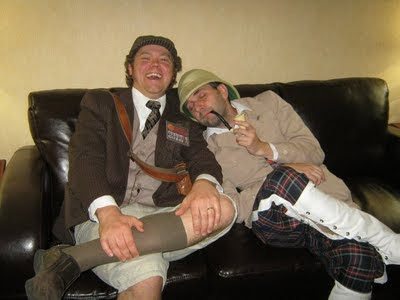 ), and have knee-high socks to give a somewhat highland-hiker feel to the ensemble. It’s topped off with a newsboys cap my mom bought for me at Heritage Park last year (Heritage Park, along with Fort Edmonton, are spaces of historical re-creation in Calgary and Edmonton, Alberta, respectively). 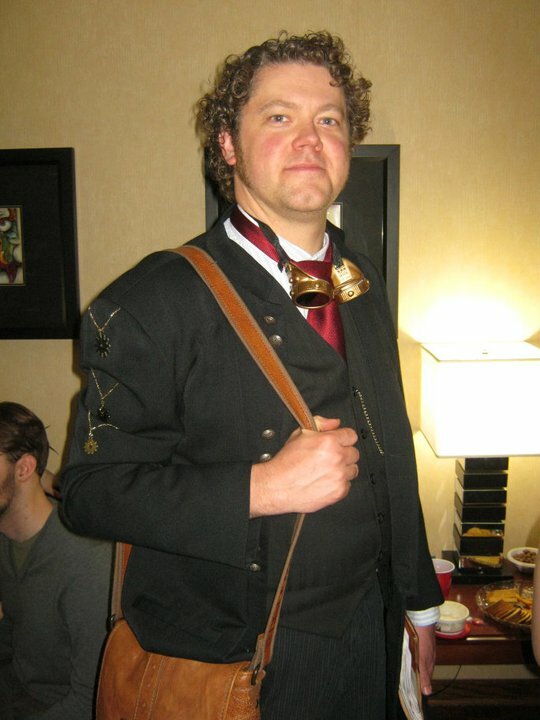 I’ve itemized my threads to underscore how different my first Canadian steampunk convention was from my first American one: when I attended Steam Powered in the fall of ’08, it was with a cobbled together assortment of items from my days as an indie musician (again, notably, a Le Chateau suit with mandarin collar being the center piece). Now, I have options. 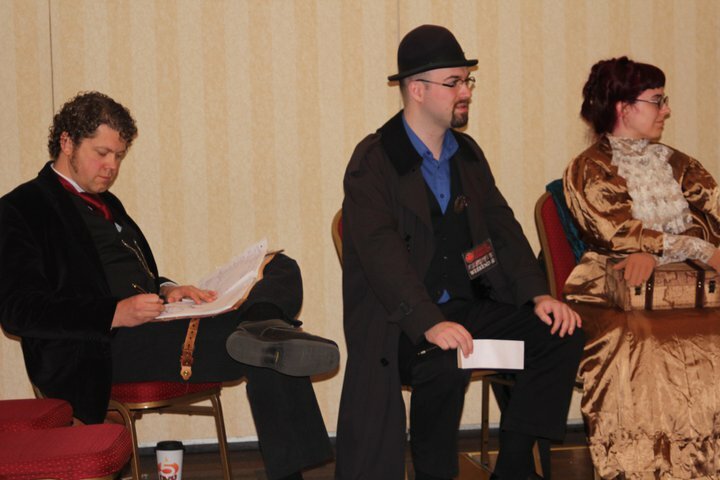 I took the elevator, the first of many such trips this weekend, down to the main floor and registration. 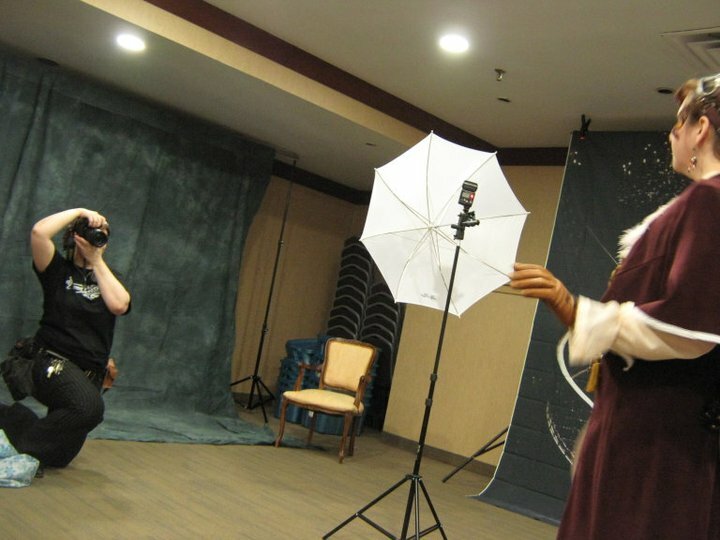 Unlike many other cons, the CNSE was not the only group in the Markham Holiday Inn. We shared the space and most significantly, elevator with many mundanes: hockey and lacrosse teams, school groups, and their parents. I’ll spare you the joys of riding the elevator with a hockey dad in full redneck mode commenting on our steampunk attire. Check out the rest of the report here, in the new issue of Exhibition Hall. Also included in this issue is Chris Garcia's report on The Nova Albion Steampunk Exhibition, along with photos of folks wishing me happy birthday from the Con! My first outfit of the weekend: my own take on being a Browncoat, I guess. 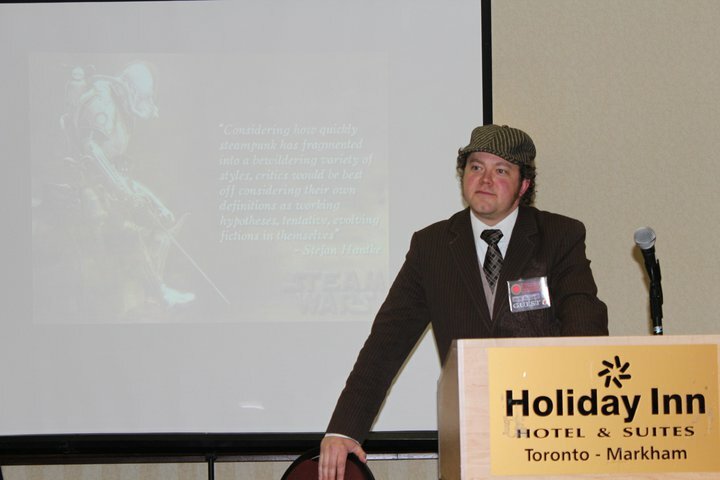 Second session of the weekend: Presenting on "Steam Wars"
Me and Jha, post-roundtable - finally, we meet in person! 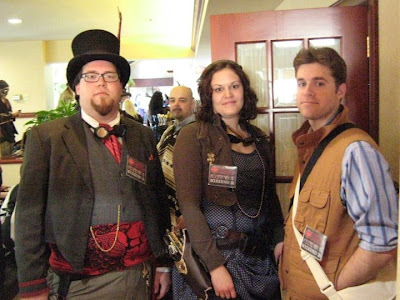 How to get photographed at a Steampunk Con: stand with people wearing cooler outfits than you. 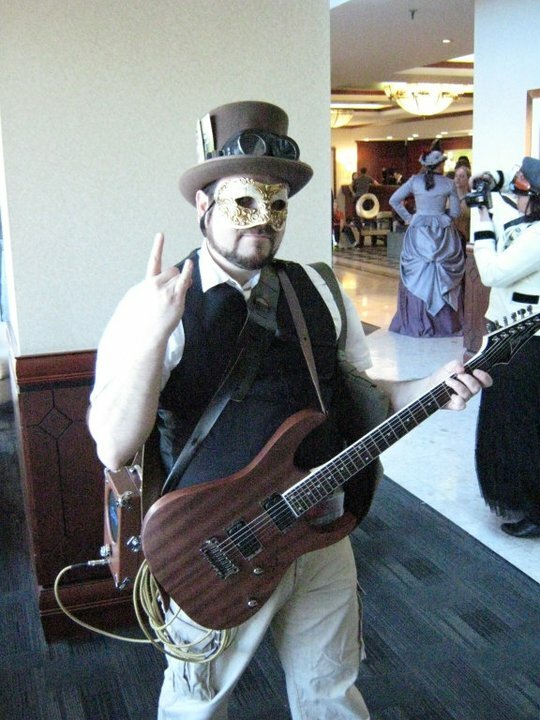 Joe Giammarco's excellent steampunk bardic rig. 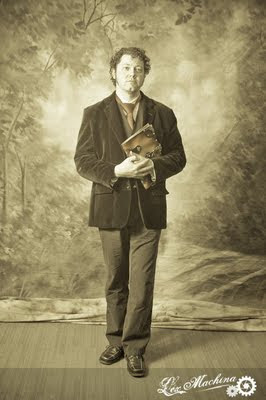 Kenneth Shelley, designer of cool clothes, including my forthcoming plus fours! 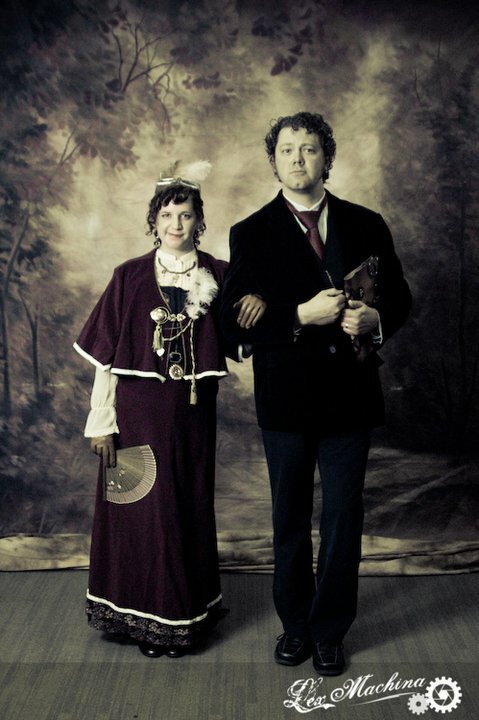 Lloyd Penney and his Mafioso wife. They look happier in the Exhibition Hall photo. 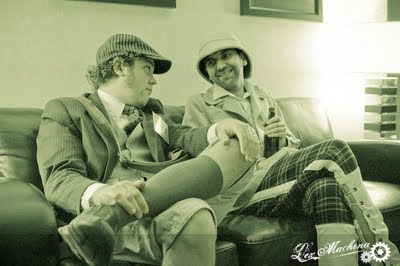 This is right before Lloyd draws iron and starts shooting. Adam Smith, one of the organizers of CNSE. A man I literally look up to. 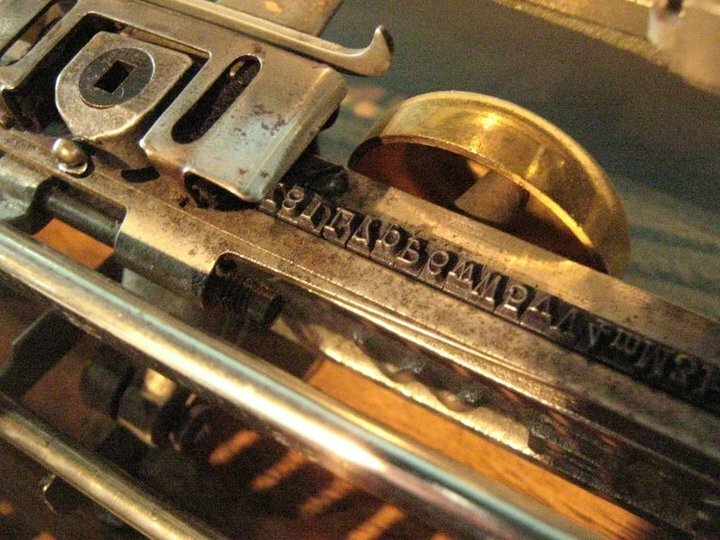 Lex Machina finally gets to "shoot me in the face." 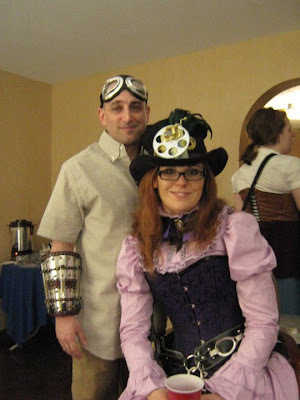 Cross one off the steampunk bucket list! The lovely ladies of Sadistic Vanity and their storefront - great fashion! Hanging out with Stuart Long and his longsuffering companions. 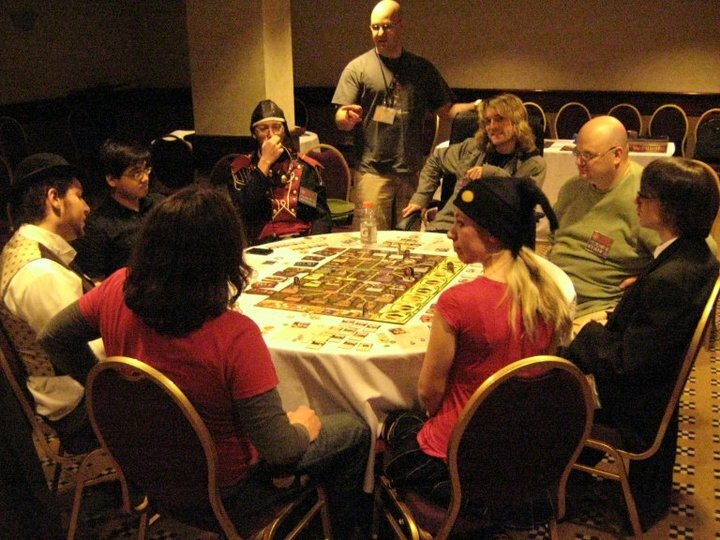 Slipped in to the game room at the end-of-day to witness near end-of-world Arkham Horror session! 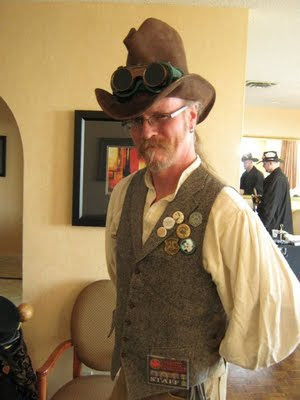 This is the jacket and the goggles that have been with me at every steampunk convention since the beginning of my research. 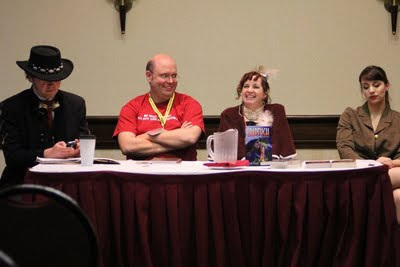 The jacket is from Le Chateau, from when I played in a band in the '90s; my wife sewed on the three levels of cogs, which stand for B.A., M.A., and PhD (although to be fair, I shouldn't have that third cog yet!). The goggles were given to me by Natalie Ratanen and the crew of Legion Fantastique!) 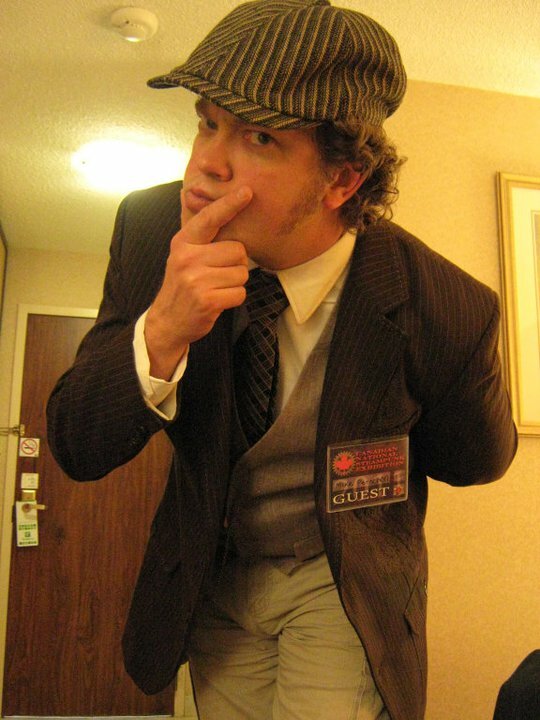 This is the last photo of me before I discover the Kraken Rum. So so so envious you got to meet Professor Elemental! 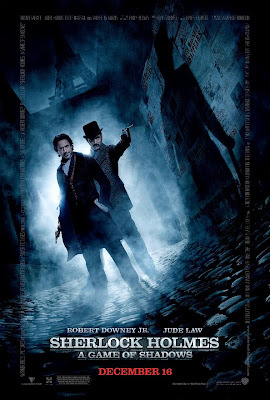 Meet him? Come on, Gail, he's passed out on my shoulder! You can always thrift a steampunk outfit, Emmy. And then find a nearby Con. They're all over the States now! 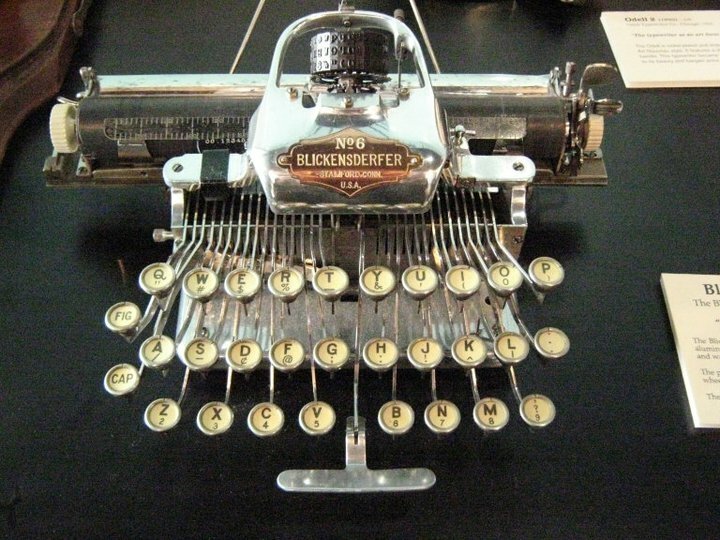 Just google thrifting steampunk - lots of folks with lots of good ideas. Great pictures and it looks like such a fun time!